Ethics in Indigenous Research Workshop 2018 | This website has been developed as the on-line resource for the Ethics in Indigenous Research Workshop. The host unit is the Department of Anthropology. 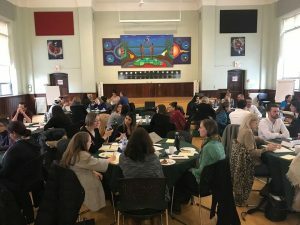 The Ethics in Indigenous Research Workshop was held on 16 March 2018 at the Native Canadian Centre, Toronto, Ontario. 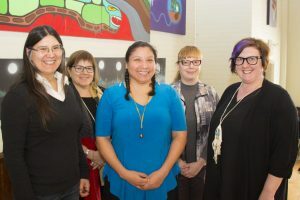 The workshop was created as an opportunity for researchers at every stage in their career to participate in a day-long conversation about the processes of ethical research engagement with Indigenous individuals and communities. We sincerely hope that the day’s event took a step towards productive and valuable long-term commitments to similar exchanges and, ultimately, transformative change. Please note that all of Deborah McGregor’s and Julie Bull’s presentations and summary notes are protected by copyright laws. Reproduction is prohibited without prior consent of the authors. Thank you again to Amy Desjarlais, Deborah McGregor, Julie Bull and all the workshop participants! Your evaluations and feedback were extremely helpful. We will endeavour to incorporate your suggestions in any future workshops. This website will continue to be available solely as a resource, however, will not be updated until further notice. This workshop was funded by York University’s Provost’s Indigenizing the Academy Initiative, the Vice President Research and Innovation events fund, Faculty of Liberal Arts & Professional Studies research events fund, and the Department of Anthropology. Lunch was catered by Nish Dish. Thank you to the Native Canadian Centre of Toronto for the use of the space and all the support provided for this event.